When you are crippled by heel pain, it can affect your personal and professional life. Walking to your office is excruciating. Your exercise regimen suffers. Date night can turn into a disaster. While heel pain is mostly diagnosed in those over 40, it can affect active children and adults as well. Ten percent of regular runners suffer from heel discomfort. This pain is associated with a variety of medical conditions, such as plantar fasciitis, Achilles tendonitis, arthritis, stress fractures, joint inflammation, and overpronation (a fancy term for flat feet). Most physicians recommend a stable pair of tennis shoes as part of your therapy to alleviate much of your pain and discomfort. So, what are the best shoes for heel pain? The best shoes with have support for your arch and your heels while stabilizing your feet and ankles. After thorough research, these are my choices to consider for your next purchase. 1 The Best Shoes for Heel Pain – Our Top Picks! The Best Shoes for Heel Pain – Our Top Picks! 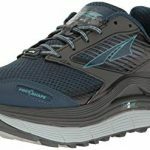 Finding a market for long-distance runners who had no options for running shoes, Saucony began designing durable shoes for athletes since the beginning of the twentieth century. While their focus remains on athletic footwear, their shoes are form-fitted for comfort, no matter the activity. The Saucony Men’s Kinvara 9 Running Shoe has a synthetic sole that moves with you, but the lightweight design is valuable to those who don’t like a clunky shoe. If you don’t plan on using your shoes for running or jogging, then another model would suit you better. As the top recommended shoe manufacturer by podiatrists, Orthofeet creates footwear for a wide variety of foot and joint pain conditions. The company stands behind their product so much that they offer a money-back guarantee if their shoes do not alleviate your pain. They sell a wide variety of footwear, such as high heels, tennis shoes, and boots, as well as recommended orthotic inserts. 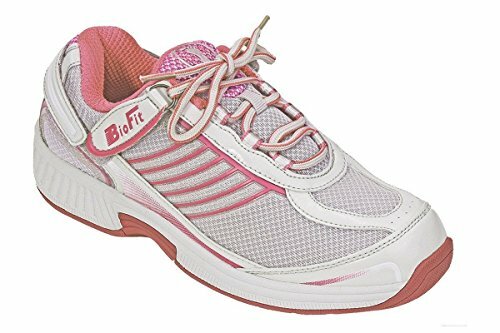 The Orthofeet Verve Women’s Sneakers have multiple layers of comfort and shock absorption, and they are designed to alleviate numerous medical conditions that result in sore feet and heels. Although they are doctor-recommended, they are expensive. 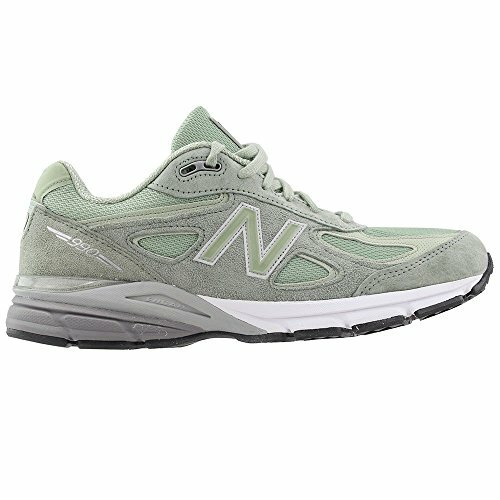 As one of the most recognizable athletic companies, New Balance has a reputation for manufacturing comfortable tennis shoes for any activity, whether it is walking, running, or standing on your feet all day. The company opened in Boston over one hundred years ago as a retailer for arch supports. Today, the company continues to create reliable tennis shoes in a wide range of sizes and widths loved for their durability and comfort. The lightweight and flexible New Balance Men’s 990v4 Running Shoe provides cushioned support across the whole foot for a more comfortable fit. Some users have reported that wearing the 990v4 feels like walking on air! A Japanese company that promotes activity and well-being, ASICS is a Latin acronym for “a sound mind in a sound body.” Designing comfortable active footwear for even the most strenuous exercise, ASICS has developed unique innovations in non-slip rubber, shock absorption padding, and overpronation correction. The ASICS Men’s Gel-Venture 6 is a multi-terrain tennis shoe with a sturdier midsole and a solid high-abrasion outsole, designed with shock absorption for a comfortable experience. The gel cushioning is more pliable, bending to the shape of your foot to increase shock absorption. However, if overpronation is the cause of your heel pain, then the Gel-Venture 6 is not the best shoe for you. It is designed to correct under-pronation and neutral pronation only. Although Dr. Comfort is a relatively new shoe manufacturer, they cater their shoes, socks, and inserts to a specific demographic of those who have diabetes and other medical conditions that cause foot swelling, pain, and discomfort. They are made to look like any designer model, which prevents you from having to wear ugly shoes. The Dr. 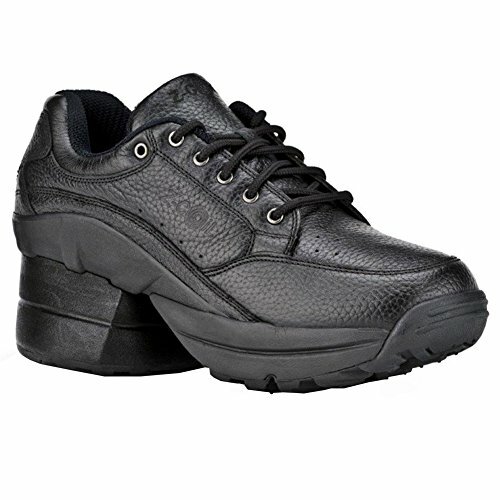 Comfort Winner Plus come in larger sizes, so they would be just as good for someone who stands for long hours. 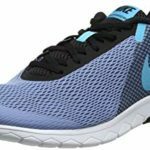 Since they can be modified to conform to your particular condition, they are among the most expensive tennis shoes available on the market. For over twenty years, Z-CoiL has been one of the leading manufacturers of shock-absorption footwear. 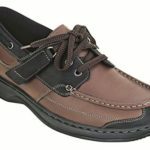 With a particular design that includes a spring in the sole to diffuse impact, these shoes are perfect for those who have any foot, toe, heel, or joint pain. 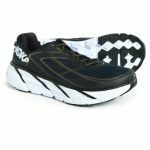 Although they provide relief for a wide range of pain conditions, the Z-CoiL Pain Relief Men’s Legend Rugged Outsoles aren’t the prettiest shoe. With the appearance that is a half-tennis shoe, half-work boot, the Z-CoiL is made for comfort, not style. Still, the thick soles and broad toe box help with joint, bone, and muscle fatigue. 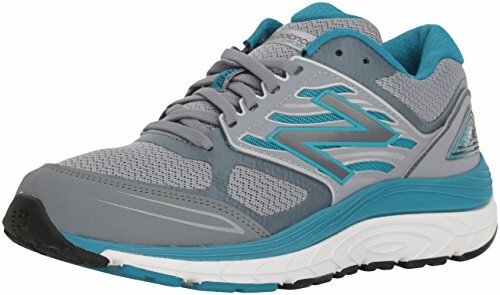 New Balance manufactures designs for both men and women, increasing their reputation as a reliable company for athletic shoes. With its history of providing foot comfort, New Balance shoes are always cushioned to absorb high and low impact stress on the joints and bones. The New Balance Women’s 1340v3 provides motion control for those who need a stable tennis shoe. 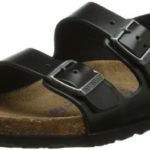 The arch support with a center beam through the sole relieves pressure on the feet during any activity. Its renovated mesh upper makes it more breathable, but the flexibility of the blown rubber sole may not be sturdy enough for some users. TIOSEBON is known for making their shoes as comfortable as much as they are a fashion statement. With laced and slip-on designs, they are great casual shoes for walking, socializing, and sightseeing. 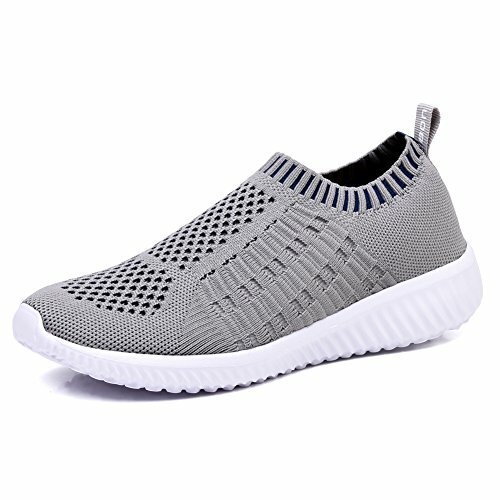 Some shoppers are wary of the inexpensive price tag, but the TIOSEBON Women’s Athletic Walking Sneakers offer comfortable support for those who have sore feet and heels after standing on your feet all day. However, if you need a shoe that suits a more active lifestyle, such as running or jogging, then another model would be best for you. A company that caters just to women, Ryka designs their shoes to ergonomically fit to a woman’s foot. Encouraging women to find the perfect pair of tennis shoes to encourage a heathier lifestyle, the company embraces women’s empowerment and fitness regimens by making their shoes for women by women. 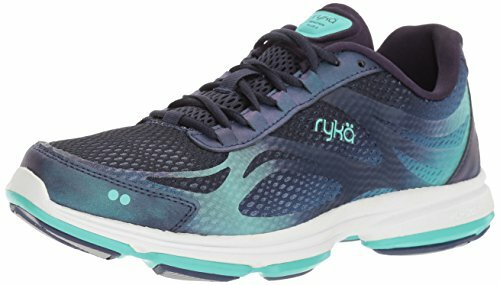 The Ryka Devotion Plus 2 is an upgrade on a previous model that provides cushion and support for an active lifestyle, but they tend to run small. 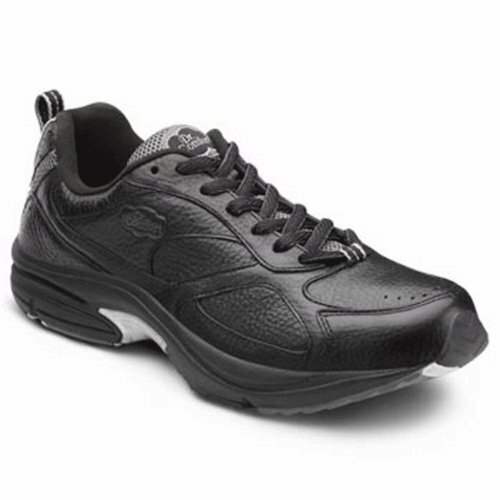 Suitable for standing, walking, or running, the Devotion Plus 2 relieves foot discomfort that often occurs when the tennis shoe you are wearing is not a good fit. 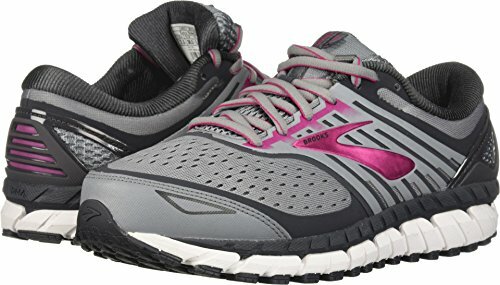 Brooks is a fitness company that manufactures both men and women’s running shoes as well as exercise apparel. The company is constantly innovating the style and comfort of their shoes, introducing new technologies in footwear. Promoting an active lifestyle in all its stages, Brooks uses consumer feedback to enhance the feel and fit of their shoes. The Brooks Women’s Ariel ’16, one of the company’s most popular women’s running shoe, has extra cushioning to absorb impact during your fitness regimen. This extra support can relieve foot and heel pain, but they are specifically designed for overpronation. The removable sockliner is convenient for your own insoles, but the advertised “wider” sizes are pretty narrow. As someone who has suffered from foot and heel pain, I have tried every remedy – and shoe style – suggested. I found that investing in a good pair of tennis shoes specifically manufactured for heel discomfort greatly increased my quality of life: I enjoyed being active again, and my day didn’t revolve around soothing my aching feet. Having invested in several tennis shoes that promised to relieve heel pain, it wasn’t until after a visit to my podiatrist that I learned exactly what to look for in a shoe to relieve my heel pain. Having reliable support for your entire foot is key to relieving the pressure off of your heels, which makes walking and running less painful. As long as you select a shoe that fits well and provides enough cushioning for your comfort, you will be comfortable on your feet again. “Heel Pain: A Systematic Review.” https://www.sciencedirect.com/science/article/pii/S1008127515000437. “Symptoms: Heel Pain – Causes.” https://www.mayoclinic.org/symptoms/heel-pain/basics/causes/sym-20050788. The Best Shoes for a Broken Toe!